WHAT: York Food Festival 2014. A one off event in some of York's historic locations to mark the Grand Depart of the Tour de France. WHAT: The Motorhome Show. All types of motorhomes and accessories on display in this comprehensive outdoor exhibition. WHAT: The Blenheim Palace Flower Show. With some of the UK's finest floral displays, there will be a Grand Floral Marquee and gardening talks. WHAT: Portsmouth Festivities. The city's premier arts festival celebrate Portsmouth's history and heritage. WHAT: Bournemouth Food and Drink Festival. Regional food event, featuring Bournemouth Food and Drink Market, local traders, product showcases, dining experiences and chef demonstrations. WHAT: Folk on the Water. Music festival connected by canals, featuring 15 concerts. Begins in Warwick and ends in Leamington Spa. WHAT: Guildford Summer Festival. Film, music, drama and art events including Guildford Town Centre Cycle Races and Guildford Cricket Festival. WHAT: Dinewfr Literature Festival. Three day bi-lingual festival celebrating literature, music, poetry and comedy performances. WHAT: Basingstoke Festival and the Big Top Extravaganza. A regional event including the Big Top Extravaganza, a circus spectacular held at the Festival Shopping Centre. WHAT: Greenwich and Docklands International Festival. The largest and longest established festival of free outdoor arts and spectacle in London. WHAT: Adnams Newmarket Nights. 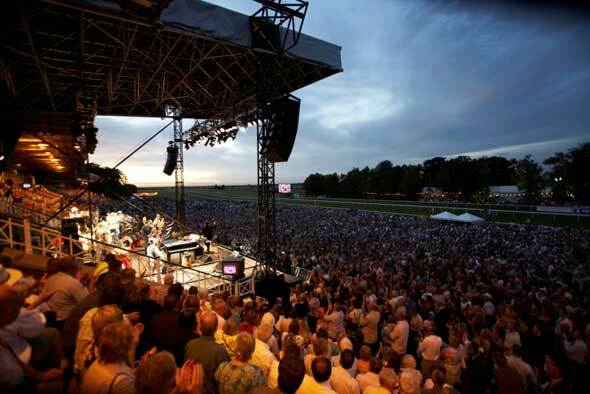 As part of the Jockey Club's racing plus music strategy, the racecourse puts on a series of summer concerts. WHAT: Body and Soul Festival. A relaxing festival featuring art pieces, installations and a Masquerade Ball. WHAT: Rose Weeked at RHS Rosemoor. A display of the finest rose collection in the South West, as well as specialist rose advice, rose identification services, guided walks, expert talks, shopping opportunities and a floral-themed craft market in the Marquee. WHAT: Towerfest. An open air country festival held in aid of Caroline's Rainbow Foundation, also featuring a commemoration to the American Civil War. WHAT: Bowman Antiques Fair. Run as part of a series, this is the largest indoor antiques fair with around 400 stands. 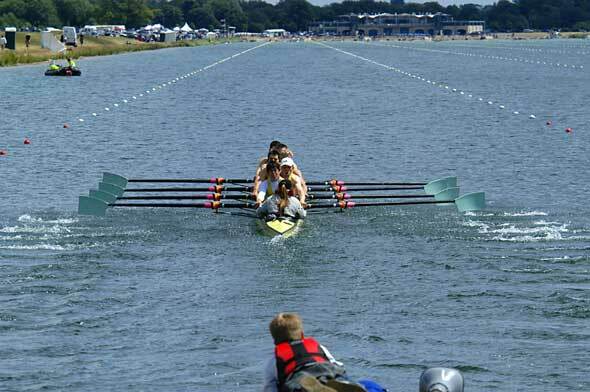 WHAT: Henley Women's Regatta. The biggest women's rowing event of the year for international rowers. WHAT: Marlow Regatta. One of the most important events in the British rowing calendar. WHAT: Halifax Food and Drink Festival. Includes cookery demonstrations and entertainment as well as featuring local and regional producers. WHAT: Laureus Polo Cup. Charity polo cup in aid of the Laureus Sport for Good Foundation in Argentina. WHAT: The Asia Polo Cup. Annual polo match between England and India, in aid of Help for Heroes. WHAT: Proms at St. Judes Festival. Music festival featuring special literary weekend and lunch and evening classical and jazz concerts. WHAT: Lowdham Book Festival. Showcasing the work of new and established fiction, non-fiction poetry and play writers. WHAT: Todmorden Agricultural Show. 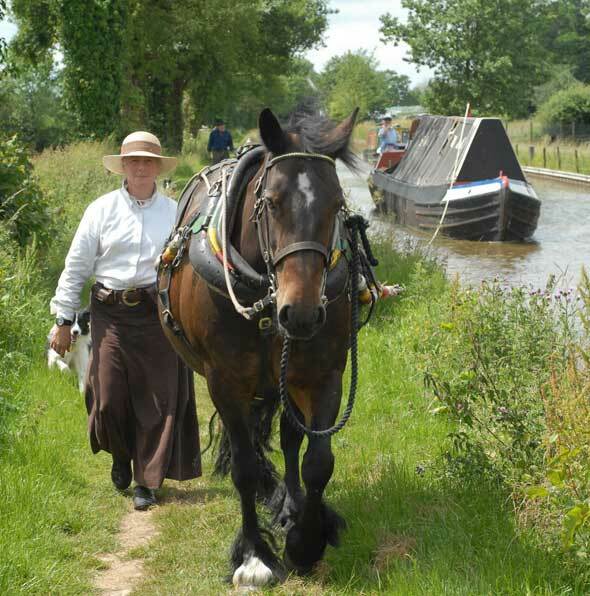 Agricultural community event, includes live music, a bike display team and birds of prey displays. WHAT: Chester Midsummer Watch Parade. One of Britain's oldest festivals dating back to 1498, featuring giant beasts and costumed characters. 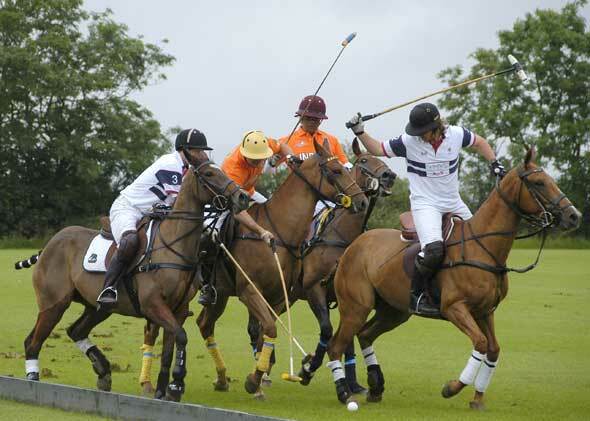 WHAT: Gloucestershire Festival of Polo. Showcasing the very best in world polo. WHAT: Kew Fete. 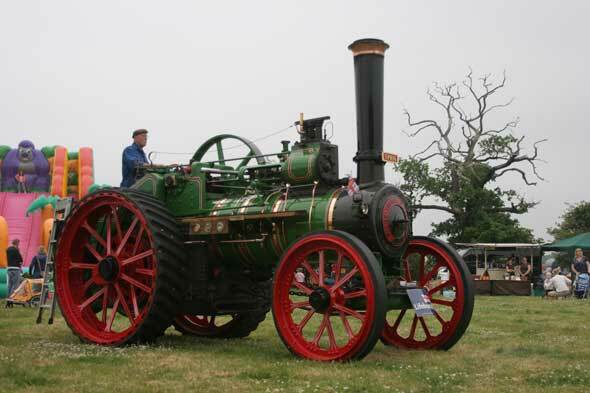 Family festival to raise money for local charities, featuring a Victorian fun fair, food, live music and over 100 stalls. WHAT: Wimbledon Village Fair & Horse Show. A range of performers, entertainment and over 200 trade stalls to raise money for charity. WHAT: The Warwickshire Cup Final. Polo tournament which sees teams battle for Cirencester's famous High Goal Trophy. WHAT: All Woman Show. Featuring around 90 exhibitiors in food, fashion, health, beauty, fitness and home. WHAT: Al Habtoor Royal Windsor Cup Final. One of the largest polo tournaments in the country. Also features a parade of horse-drawn carriages on The Queen's Ground to be presented rosettes by The Queen. 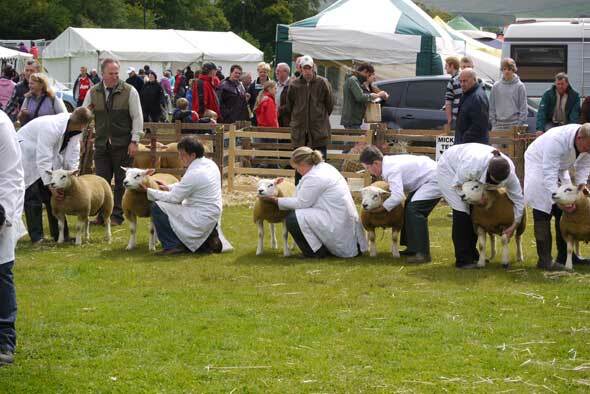 WHAT: Derbyshire County Show. Large country show featuring farmers market, crafts, horticultural, floral art marquee and main ring entertainment. WHAT: Wimbledon 2014. The world's most prestigious and oldest Grand Slam tennis tournament. Tickets still available every day by queuing. WHAT: Newbury Antique & Collectors Fair. Running as part of a series at numerous UK locations, this is the largest international event of its kind in Europe. WHAT: The HTA National Plant Show. The Horticultural Trades Association showcases the best of British suppliers.